Opus Interactive’s VMware powered Infrastructure-as-a-Service (IaaS) solution is the perfect fit. We’ll provision all the equipment you’ll need to outsource your IT operations, including storage, hardware, servers, firewalls, load-balancers and networking components. Our certified engineers are responsible for housing, running, and maintaining all equipment; you just pay for the resources you use. You can rent pre-provisioned vCloud resource pools or pay for your usage by the hour. IaaS allows you to outsource as much of your IT requirements as you’d like. It’s like having Opus Interactive right down the hall, as an extension to your IT department, giving you the ability to focus on your business core competencies all with a 100% Uptime Service Level Guarantee. Opus Interactive IaaS is available in class leading datacenter facilities with our own highly resilient multi-homed network offering the perfect environment for your IT infrastructure. Whether you are looking for a small resource pool for a single server, outgrowing your aging hardware, outgrowing your existing datacenter or looking for a multi-datacenter enterprise class set of infrastructure services, Opus Interactive can help. Our IaaS offerings are powered by VMware running on enterprise grade hardware by HPE and networked with Arista and VMware NSX. Get access to our online cloud portal to manage your servers and applications from. You can also add-on optional monitoring services, managed services, Veeam backup services and Microsoft and RedHat rented licenses. Available in multiple datacenters across the U.S., the OpusCloud IaaS offers you an architecture you can trust, engineered from the ground up for high-performance, incredible flexibility and extreme resilience. VMware vSphere® clusters are built on the very latest HP® Blade Servers for performance and reliability. 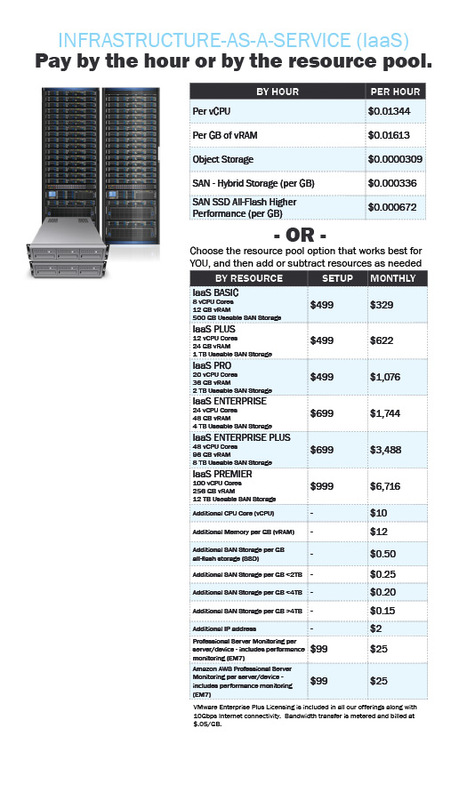 Disk storage is provisioned on enterprise HP® SAN clusters for adaptive, high-performance storage needs. Reduce your hardware costs and increase performance. 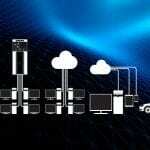 Infrastructure as a Service (IaaS) at the core is really the foundation of cloud computing. 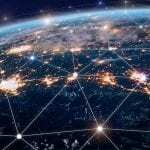 Rather than purchasing physical servers, networking and storage along with purchasing space in a datacenter and all of the utilities to maintain and deploy computer servers, customers can rent space in a virtual data center from the IaaS provider. They can then manage their servers via a web portal securely over the Internet. This type of cloud computing provides the raw building blocks for IT, and customers usually only pay for the resources they consume, including (but not limited to) CPU cores (vCPU), RAM/Memory (vRAM), hard disk or storage space, and bandwidth (data transfer). When renting from a cloud IaaS provider, customers are renting the hardware and the provisioning software that automates it. What kind of IaaS is available? 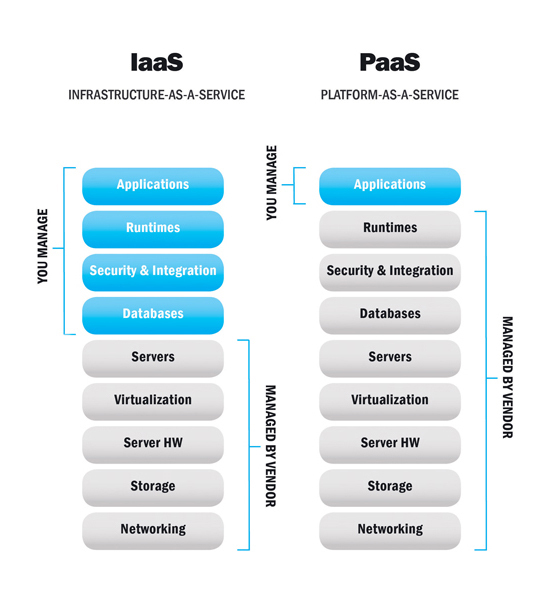 Opus currently offers three types of IaaS. Multi-Tenant Public IaaS Cloud: In our multi-tenant public cloud, you are renting our hardware resources in a shared, lower cost, fully secure multi-tenant environment using virtualization technology. This allows multiple users to share server resources. This cloud method is a prime example of the cloud computing model: easy to set up, highly scalable and elastic, where users will only pay for the resources that they use just like the utility grid. Private IaaS Cloud: In our private cloud we employ virtualization technology and delivers cloud-computing services to a single organization on dedicated compute and storage nodes. The services are provisioned for a specific customer and sit behind dedicated virtual firewalls. 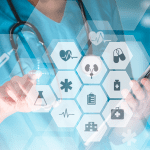 This model is great for customers looking for highly secure solutions or healthcare solutions looking for compliance (PCI-DSS and HIPAA/HITECH). Servers and resources are dedicated to a single customer, and thus cannot be used by others. The Opus private cloud is best suited for businesses that have larger OPEX budgets and require more control and compliance around their IaaS cloud services. Hybrid IaaS Cloud: A hybrid cloud is where we are combining our Opus colocation offerings for existing equipment that has yet to reach its full useful life and augmenting that with our virtual infrastructure in either a public or private cloud. For example, a customer may opt to manage some of their own physical servers in a colocation space and then outsourcing other servers to either the Opus public or private IaaS cloud. The hybrid cloud option allows customers to take advantage of scalability with the cloud, all while managing either sensitive company data or applications not suited for the cloud. What compliance and certifications does your IaaS meet? The Opus IaaS offerings all meet the PCI-DSS, SSAE16 Type II SOC 2 and HIPAA/HITECH compliance standards. We perform these audits on our facilities, Cloud and IaaS offerings annually. Does Opus offer encryption on its Cloud and IaaS offerings? We do offer encryption and can provide it at multiple levels. We can provide encryption at the OS level which handles encryption for data at rest (data stored in persistent storage). We can also provide encryption at the data store level on the SAN. With the new vSphere 6.5 we are also offering encryption in the hypervisor, “beneath” the virtual machine. As I/O comes out of the virtual disk controller in the VM it is immediately encrypted by a module in the kernel before being send to the kernel storage layer. Both VM Home files (VMX, snapshot, etc) and VMDK files are encrypted. What kind of performance can I expect on your SAN that supports the IaaS? Our SAN infrastructure was built for performance and to meet or exceed the needs of all our customers. We only use high-performance enterprise grade hard drives in our SANs. They are all dual port 6GBps or 12Gbps SAS drives spinning at 15K. We do not use any SATA or Midline drives in our SAN. We utilize a 3PAR feature called Adaptive Optimization (AO) on our standard SAN offering that provides Tier 0 like performance by moving the workload dynamically at the block level to all-flash SSD. Here are some additional technical details on what to expect for performance in terms of IOPs, latency and throughput. These numbers are all based on specific types of tests with lots of options – random reads/writes, sequential reads/writes, mixed reads/writes, iodepth, threads, block size, etc. Since test can be done with so many variables it would be difficult to compare to customers actual loads and thus the numbers above represent a range of performance we see across different customer profiles and workloads. These numbers were gathered using settings for mixed loads in an attempt to get numbers for real life workloads. Latency and Throughput are important numbers in addition to IOPs and our clusters perform extremely well in these areas. What Operating Systems are support on your IaaS? We support any 32-bit or 64-bit x86 operating system you prefer. Here are some examples that our customers run: Windows Server, Linux, CentOS, FreeBSD, OpenBSD and Debian. We have most of these images pre-loaded in the image library available within the web portal or you can upload your own ISO image or template for fast deployment. Can I visit the Opus Interactive Data Center to see your IaaS? We are happy to arrange a tour of any of our facilities and show you our infrastructure and cloud pods- please contact us to organize a tour of our Data Center during business hours. 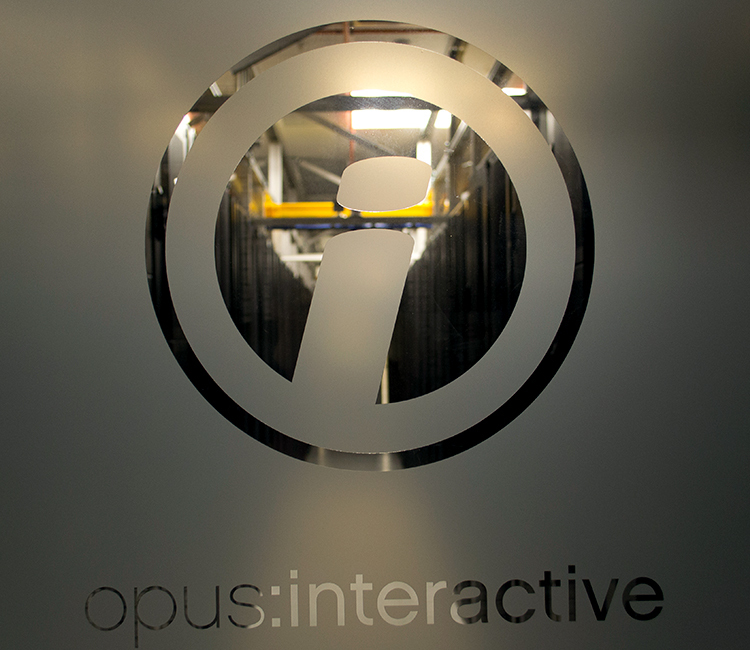 Opus Interactive guarantees to maintain Internet connectivity to your hosted IaaS 100% of the time. For more information please review our Service Level Agreement. What contract terms are available from Opus Interactive for IaaS? OpusCloud IaaS is available month to month and on 12, 24, 36, 48 or 60 month contract terms (variable by datacenter location and size of requirement) – discounted rates are available for longer term commitments – please discuss with your Opus Interactive account manager. Services are also available on month-to-month contract terms. 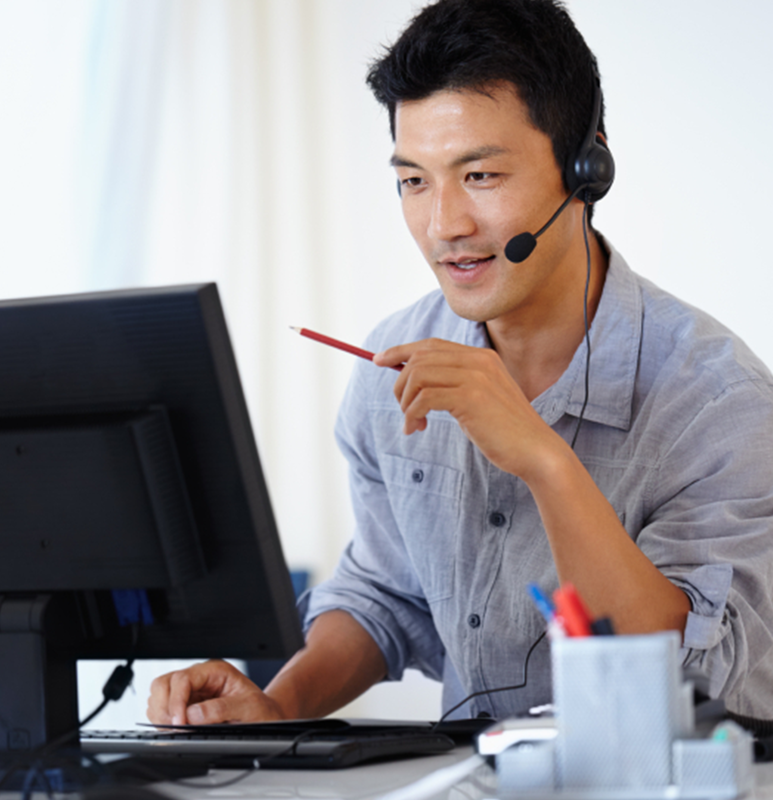 Opus Interactive provides 24/7/365 Support to all IaaS customers. We provide support for the Hypervisor (VMware), Firewalls, Load Balancers, underlying hardware and the network. All IaaS customers are provided an escalation agreement and contact information upon contract signing for priority support around the clock. We have two pricing models for our IaaS offerings. The first model is where you pay for exactly what you use by the hour. The second model you pay for a fixed baseline resource pool and then can add or subtract resources as needed over time. All pricing listed assumes no contract, month to month term. Discounts apply for contract terms of 12, 24, 36 and 60 months.